Under the engine room floor is a large freshwater tank that was used for cooling some of the engines. The tank had been left full of water and so we made the decision to empty the tank and inspect it. 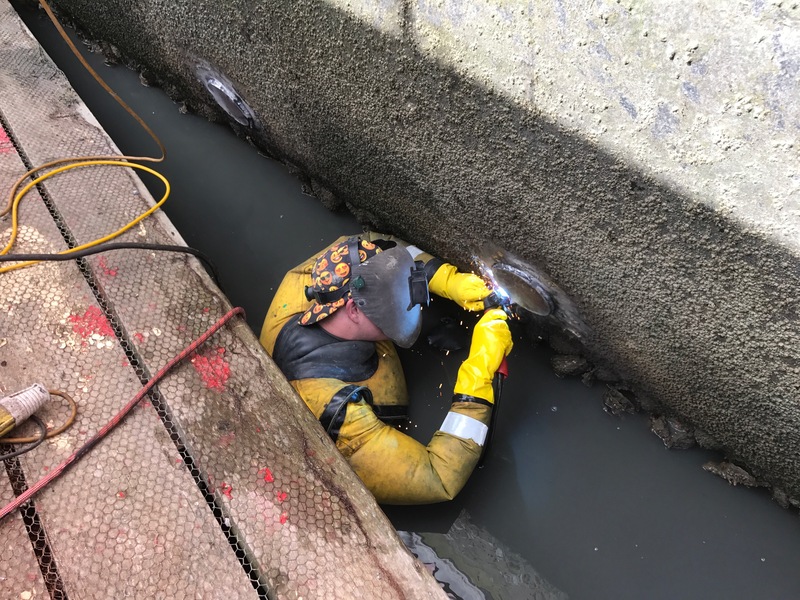 Almost five tonnes of water was removed so that we could go into the tanks to verify their condition. The inspection showed that they were in amazing condition. 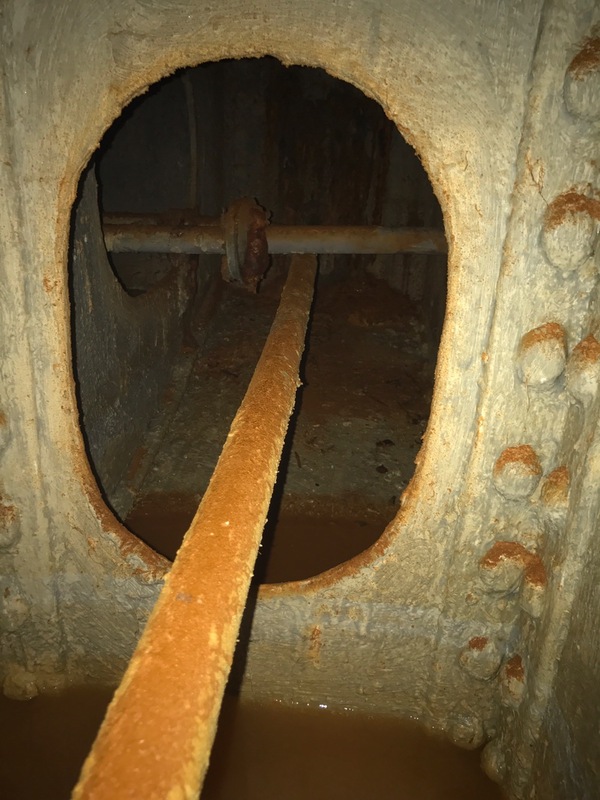 The original cement wash was still in place and had protected the tanks. With the engines gone it was time to remove and seal up the original seacocks. This took a bit of planning as we needed to do this on the right tides to ensure we had the time to complete the work. 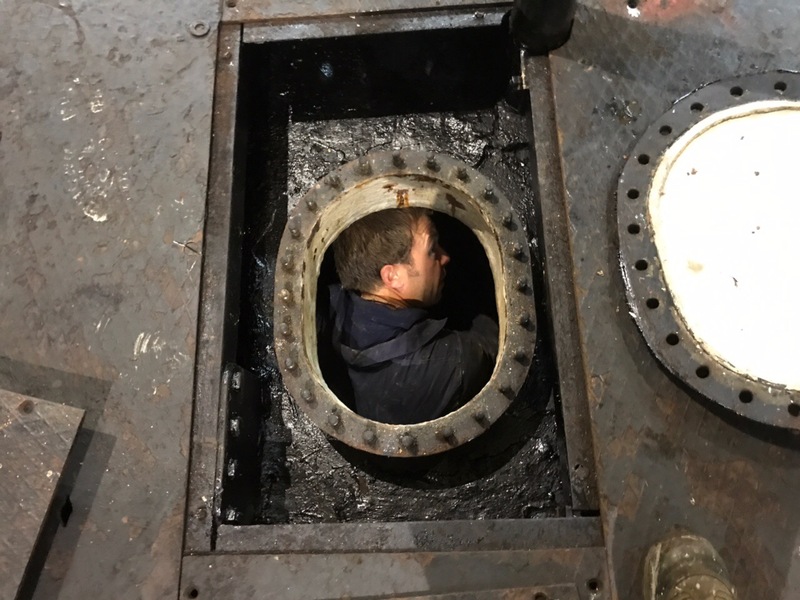 It involved draining the puddle around the ship as well as removing and the sealing the holes up from the inside and outside. 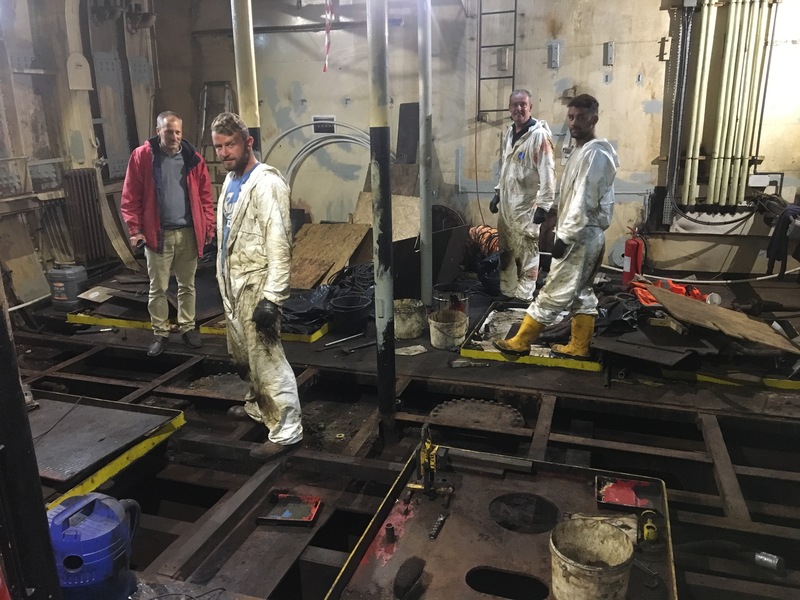 With the Whaleback completed and in operation our contractors return to do some final jobs in the recently emptied engine room. The first job was to take up the floor, clear out and then inspect the bottom of the boat before painting it. 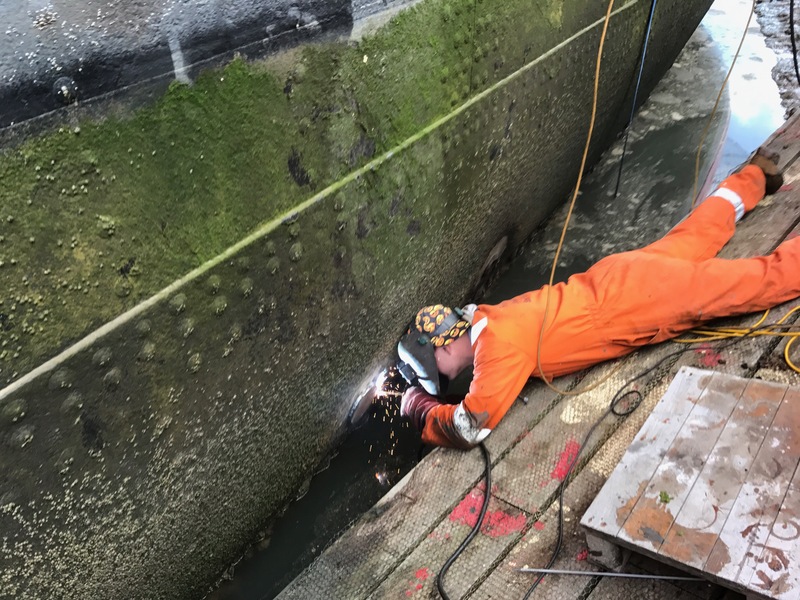 The work took three weeks solid but has confirmed that the bottom of the hull is in good condition. Painting the bilge provides extra protection for the future. Shortly after our 50th celebrations in May the Whaleback kit storage area was fully fitted out inside – it’s been amazing! Dehumidifiers were fitted, racking installed to house 80 buoyancy aids & sets of waterproofs, plus storage for staff kit, sails and other activity related equipment. A truely fantastic area that has made a huge difference over the summer months.